For those who don’t know, the John W. Campbell Award is given out each year at the Hugo Award ceremonies (though it’s not a Hugo) for the best new speculative fiction writer. I happen to be in my final year of eligibility for the Campbell, but that’s only part of why I bring it up. First, fellow eligible author Bonnie Jo Stufflebeam sent around a cool little set of interview questions to all the eligible authors she could find, and is posting their responses on her blog. The survey in which I participated is here, but I recommend reading them all. Find a new author whose work you love today! And, to help out with that, M. David Blake and Stupefying Stories have compiled a massive free collection of stories by 111 (!!) eligible authors. 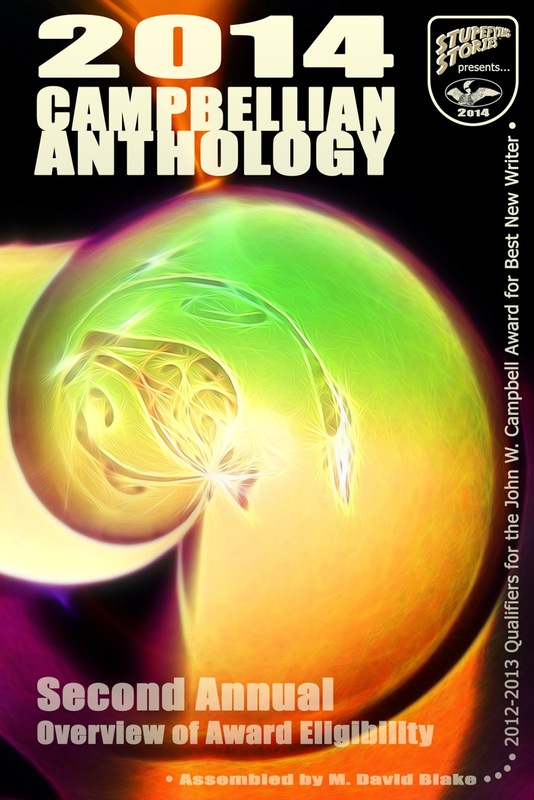 This has to be one of the biggest, most amazing collections of short fiction around, and it’s free for the download. But it’s only available for a limited time, so get it while it’s hot!